In the project write up I mentioned about gain distribution across the entire rig. While the tendency is to crank up the gain ahead of the IF stages that also cranks up the noise. Loud but noisy is not always optimum! 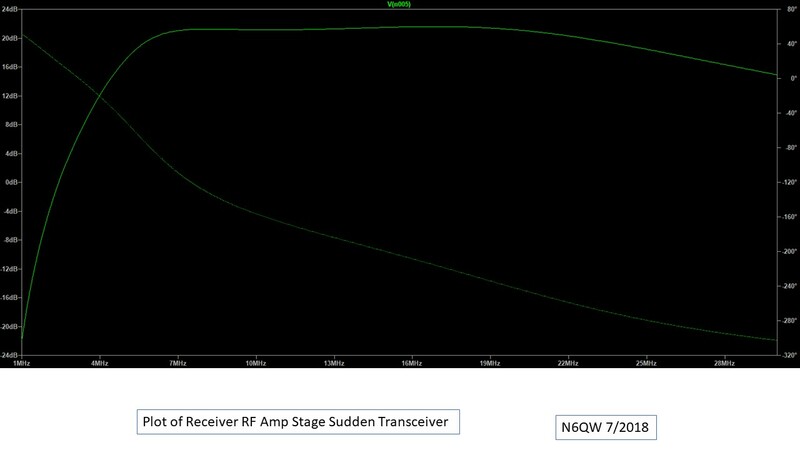 So a better approach is not so much gain on the front end and make up the gain in the audio stages. Your ears will thank you. 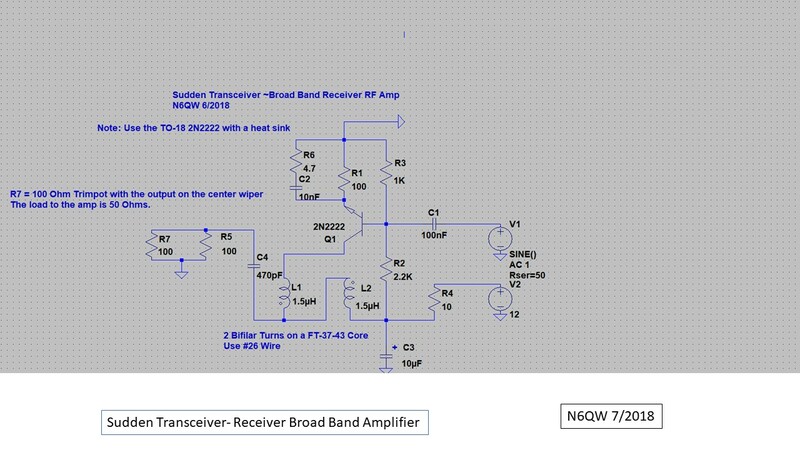 So here is my Receiver RF amplifier design. Again it was simulated in LT Spice first and then built. The schematic reads from Right to Left as that is how it is installed in the rig. Note that the load on the device is 50 Ohms but that R7 is a 100 Ohm Trim pot where the output is taken from the center wiper. The metal version (TO-18) of the 2N2222 was chosen because it is biased "hot" and you need a heat sink. I was having difficulty with that crappy 'no lead solder" and so the soldering of this board look like crap. My work is usually of a higher quality. But it Works! Note: R6 (missing in the photo) is now 18 Ohms 1/4 watt. This is a test to see if you have read this closely. 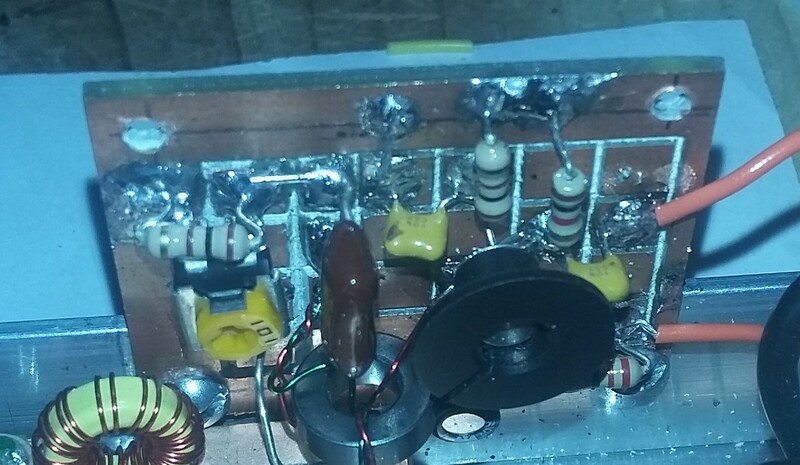 The 4.7 Ohm resistor is actually missing on the board, a victim of a soldering accident -- also if you want the gain to improve below 4 MHz then you need more "L" and 3 turns bifilar will give you flat gain from 80 through 20 Meters. 3 turns = 3.15 uH.